Pelichet joined the AGS Group in 2011, an incomparable asset that allows us to reinforce our network and to ensure a perfect service for your removal regardless of your destination. The Pelichet Group is able to offer you removal services that meet the same quality standards around the world. 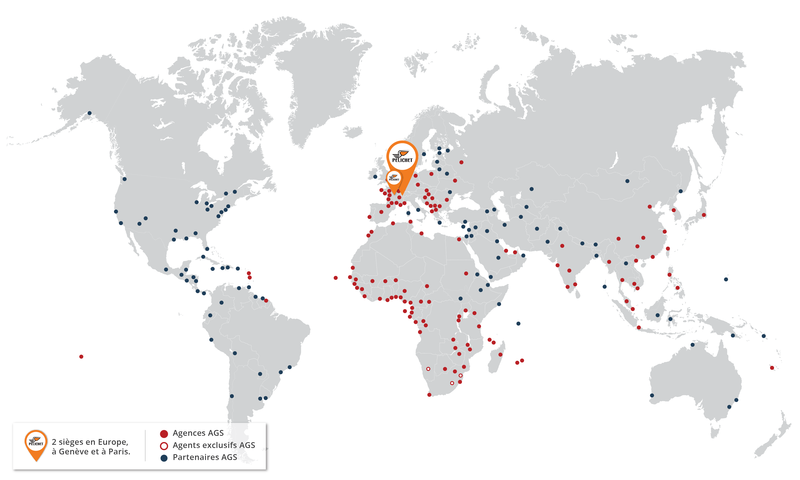 In addition to its own locations, the Pelichet Group has built a network of more than 300 partners throughout the world, ensuring complete control of the entire logistics chain. Our partners are all affiliated with prestigious “quality” certification bodies: LACMA in South America and FIDI for the rest of the world.